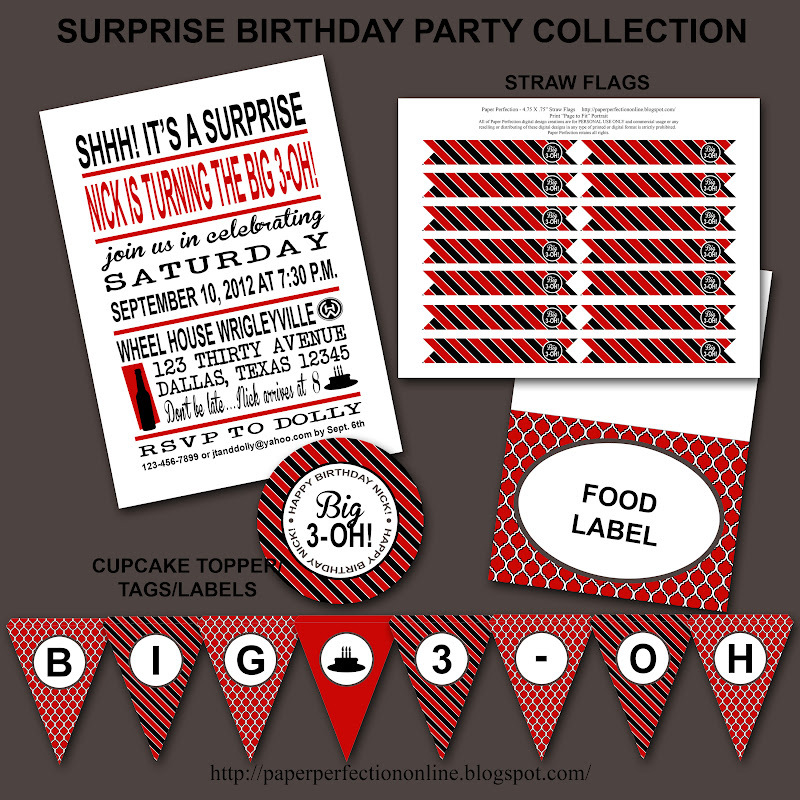 I was super busy in September with custom party printables and this is another collection that I worked on for a new client. 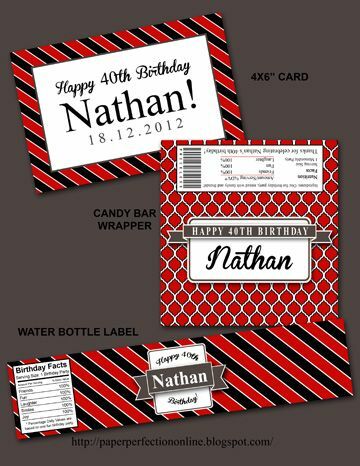 She sent me some samples of invites that she liked along with the colors that she wanted which included red, black, dark gray and white. 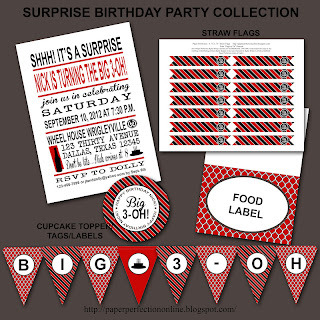 Together we created this collection for a 30th birthday party but it would work for any Big OH birthday...40, 50, 60, etc. If you would like to purchase these printables or have a custom collection created for your next event contact Paper Perfection at jtanddolly@yahoo.com for pricing and details.